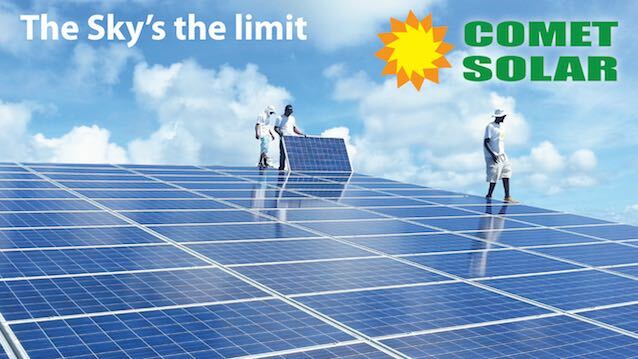 Comet Solar is an experienced solar installation company based in Anguilla and St. Kitts & Nevis. The company has installed large commercial systems as well as smaller residential and special purpose systems. We design and install solar photovoltaic (electricity) and solar thermal (hot water) systems. 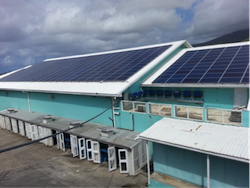 The companys principal, Chris Mason, is a NABCEP certified solar PV installer, one of only a handful in the Caribbean. 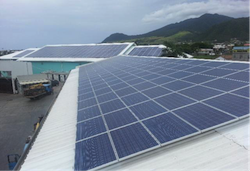 We bring a local Caribbean focus backed by years of knowledge and experience, and we pride ourselves on acting as a community-minded solar provider. Our customers are saving thousands on their electricity costs and are willing to endorse our work. We have listed many references in our projects list. Comet Solar partners with Canadian Solar, a premium solar panel manufacturer. Canadian Solar is one of the worlds largest manufacturers and offers the best warranty in the business. Almost all the solar panels we install are from Canadian Solar, and so we are guaranteed the most competitive prices. Comet Syolar is an export in commercial solar water heating systems and has installed a number of systems to supply laundry systems, dormitory and hotel accommodation. In the Caribbean, solar water heating can provide all of a companys hot water requirements. Our solar water heating systems are custom made to our designs to ensure the maximum cost savings and thermal uptake.